If you didn't know already, Utopian is running a Indiegogo campaign to help fund the development of their new and improved platform, Utopian Colony. Utopian Colony is a platform for open source collaboration, home to all digital professionals with a passion for open source innovation. Utopian Colony gives everyone a voice and a place to contribute, reward and be rewarded. Currently, they have received 4% of their goal, and as with other Indiegogo campaigns, if they don't receive all of their goal of $35,000, they get nothing. If you haven't already backed the campaign or are still thinking about it, I thought I would take the time to tell you why I backed it and why I think it's a great idea for others to get involved. Let's start with why I love Utopian, I joined Steem a little over a year ago, like many people, no idea what the platform was about, why people were using it, with literally no idea what to blog on or where to go next. I tried blogging, writing a few tutorials, but overall didn't get into it, I've never been much of a writer. Fortunately, I came across Utopian, a platform that helps incentivize open source contributions on the Steem blockchain, due to my job I have always been interested in development & design, it sounded interesting and I thought I would give it a go. Shortly after joining, I made my first contribution and never looked back, in the months that followed I became a regular contributor and eventually joined the moderation team. Fast forward to today, I'm still a regular contributor and feel part of their community. Without Utopian, I don't think I'd still be using this blockchain (or at least not as much) and as I'm sure many others will agree with me, it's my home on the Steem blockchain. Utopian is one of those special projects that not only has a great idea, they also have a great team and community pushing it forward. Utopian has seen over 70,000 contributions in over 9,000 different open source projects. Those projects have been benefited by designers, bug-hunters, innovators, technical writers, skills which often you would have to pay for, skills that Utopian have made readily available to the open-source world. If you didn't know already, some of these projects are ones you know and love. I'm sure you recognize some of the above, projects that you use day to day, projects that you think are great, projects that Utopian has helped to incentivize development for and contribute to their success. By backing their campaign you're helping bring Utopian Colony to the masses, allowing them to help more projects and allow more contributors to get involved. The team has been working for months to bring this vision to fruition, and with only a short amount of time until they plan to release Utopian Colony, they need our help. 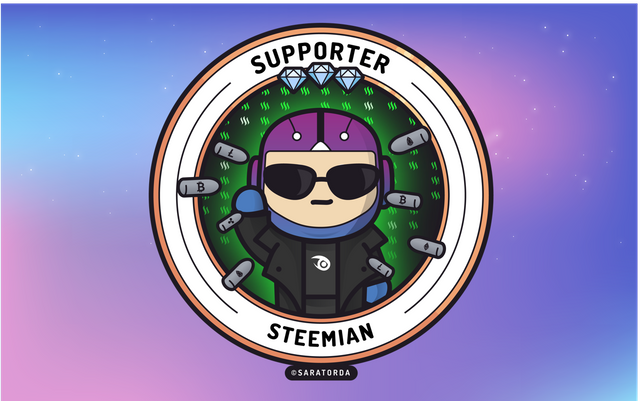 In combination with the above, the Utopian team have also teamed up with a few other Steem apps to help give Steemians a little bit extra, they call this the "The Steemian Secret Bundle"
You just got a 1.01% upvote from SteemPlus!